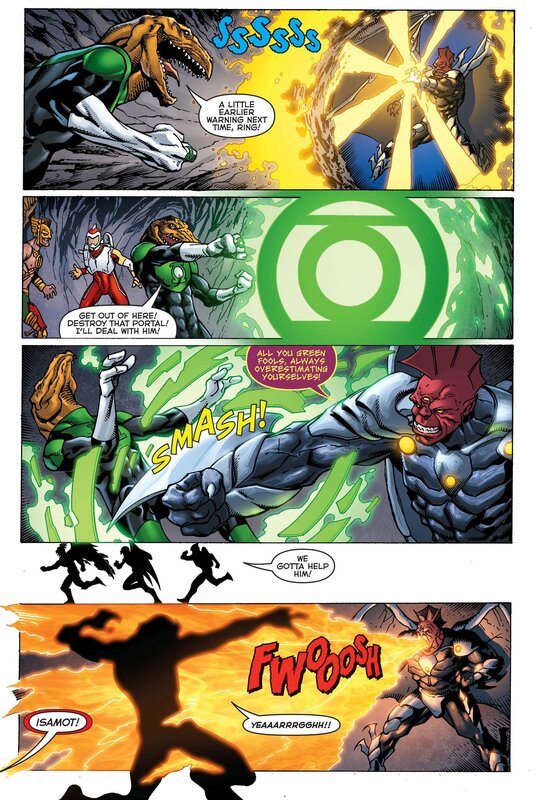 In the latest issue of The Death of Hawkman, written by Marc Andreyko and drawn by Aaron Lopresti, we see the lost of a lantern who’s been through a lot and has been a signature player in the Green Lantern Corps. Isamot Kol. 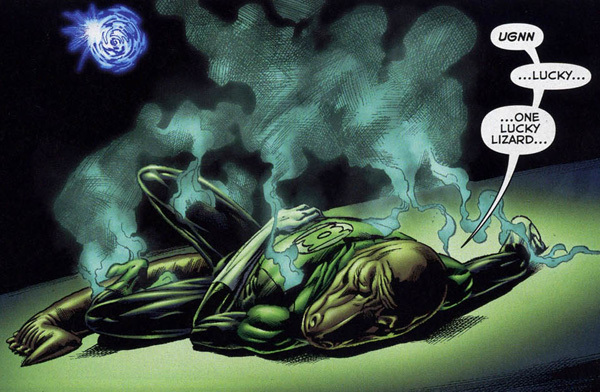 We’ll choose to celebrate his replacement in Rayn Kral of Thanagar. 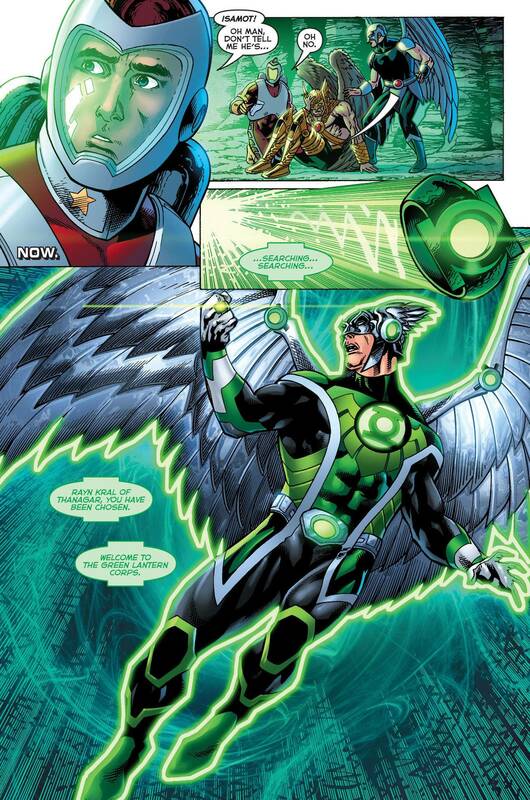 Check out his debut as a Green Lantern below and pick up the final issue of Death of Hawkman on sale March 1st.